Posted in Extraterrestial, Psilocybin, Psychedelics, Science & Technology, Terence McKenna (mp3), Uncategorized. 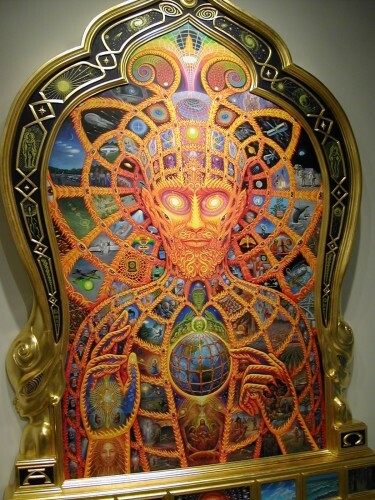 Wow if your going to credit an Alex grey piece get the name right. It’s cosmic Christ not cyber Christ. Hey lorenzo Ive been into mckenna and the psychedelic point of view for close to 5 years now I’ve learned so much about myself and history and how the world really works thru the work of terence. He’s honestly the most inspirational to me. I want to inform people like he did and get the message to people that really need it. I hope to one day become a speaker or writer. I had my first dmt experience a week or so ago which was pretty interesting. Hope you are doing well and staying high! I also hope to meet you one day. Hello from indiana! Thanks Lorenzo, another interesting McKenna, I never get tired of it! My name Steven, l have enjoying your podcast for several months. I attended a talk eariler tonight hosted by the Oregon psilocybin society. It took place in Hood River, Oregon on March 24 2018. The topic was getting psilocybin on the ballot in Oregon. I have an audio recording of the discussion and it’s informative and enjoyable. I think it would be perfect meteral for the saloon. I’m not sure how to sent it to you other than emailing.